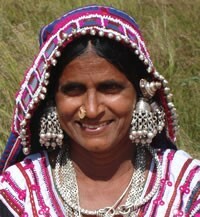 The Banjara were traditionally a nomadic community, but today they more commonly are settled and work in agricultural production. They believe that they were originally Hindu and were forcibly converted to Islam. They are non-vegetarians who eat beef. 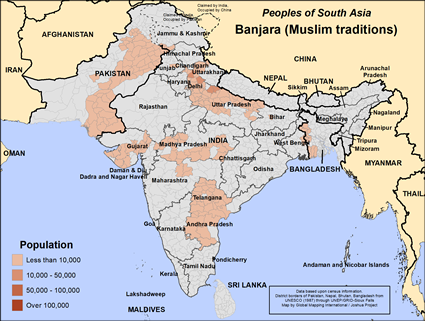 The Muslim Banjara have twelve clans. They maintain cordial relations with neighboring communities and share water sources with them. They belong to the Sunni sect of Islam. To follow Jesus is to risk upsetting community harmony, and to risk losing family and friends. Pray that persons and households of peace will be found among the Banjara who will catalyze movements to Jesus among their own people. There are probably no present followers of Jesus among the Muslim Banjara community, but pray for those the Lord will soon call to himself. Pray they will have nothing to do with the deeds of darkness, living as children of light. Pray for materials to help them grow properly, such as recorded or written Scripture, and Gospel films. Pray for the Banjara community to be able to adequately care for their families, and for widows, orphans, and elderly people to have the care and protection needed. View Banjara (Muslim traditions) in all countries.